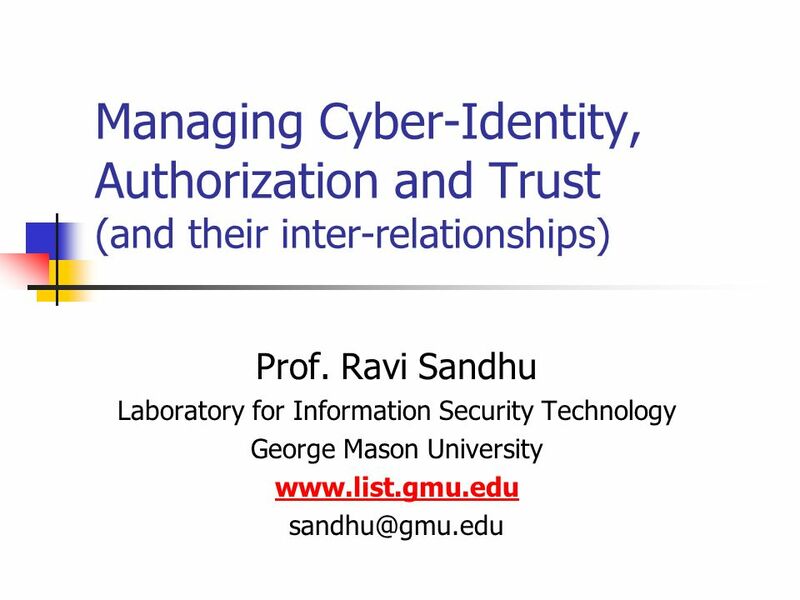 Managing Cyber-Identity, Authorization and Trust (and their inter-relationships) Prof. Ravi Sandhu Laboratory for Information Security Technology George. 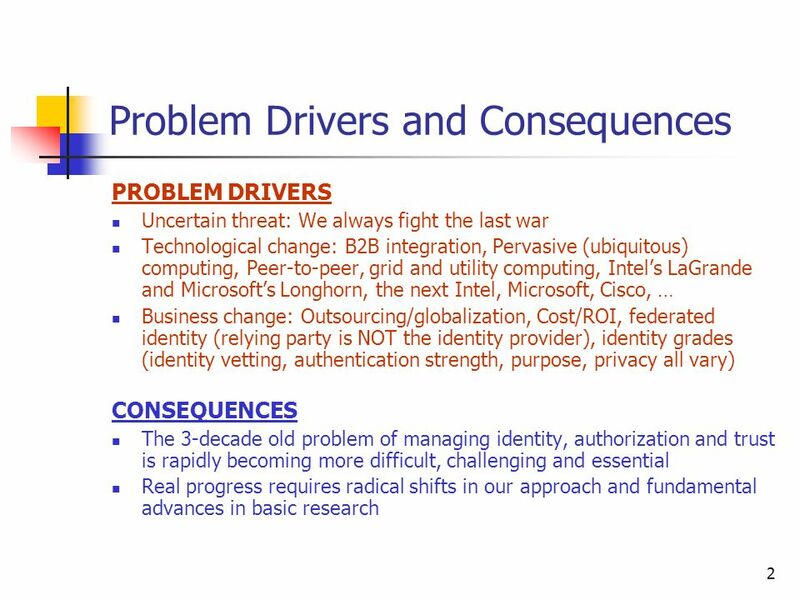 Download ppt "Managing Cyber-Identity, Authorization and Trust (and their inter-relationships) Prof. Ravi Sandhu Laboratory for Information Security Technology George." © 2004 Ravi Sandhu The Safety Problem in Access Control HRU Model Ravi Sandhu Laboratory for Information Security Technology George Mason. 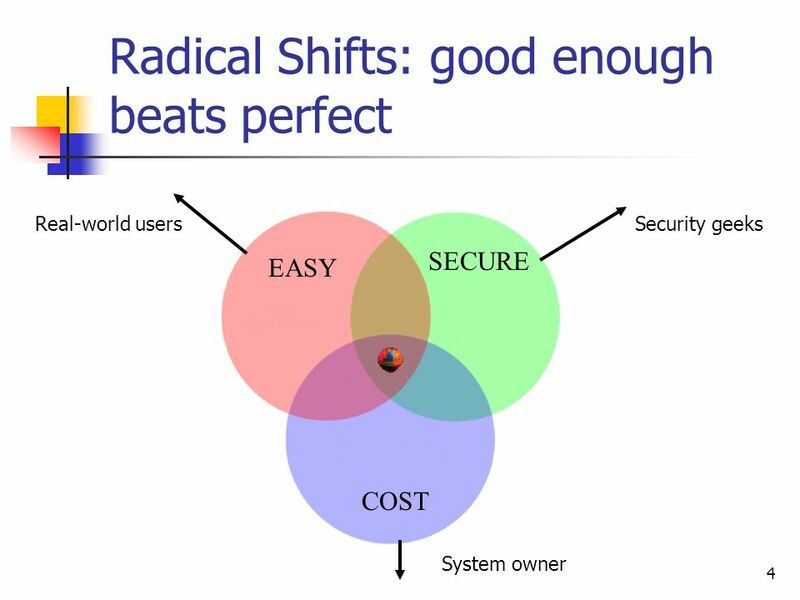 © 2004 Ravi Sandhu A Perspective on Graphs and Access Control Models Ravi Sandhu Laboratory for Information Security Technology George. 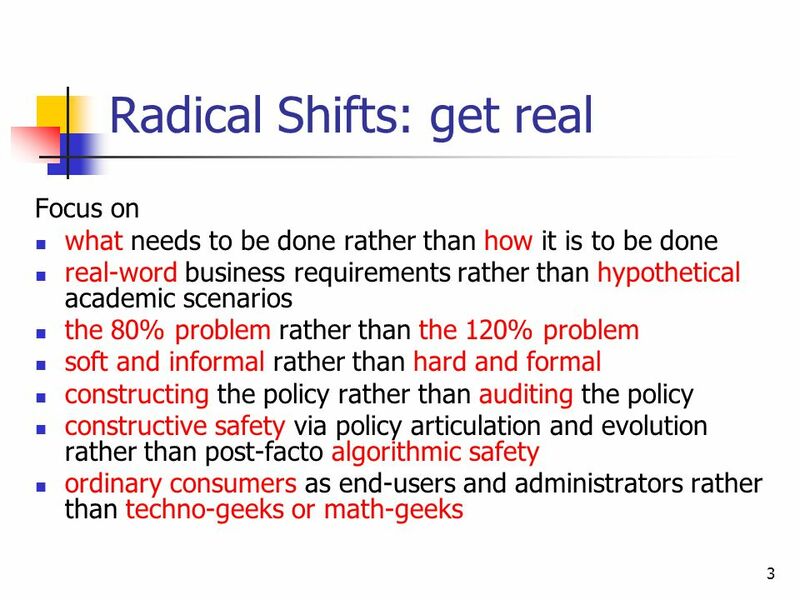 1 Attribute-Based Access Control Models and Beyond Prof. Ravi Sandhu Executive Director, Institute for Cyber Security Lutcher Brown Endowed Chair in Cyber.